I absolutely adore when I get to play with new ideas and colors! I have been dying to try the gel stains from General Finishes, and my mother in law happened to be at a woodworking club at Woodcraft and offered to pick some up for me! 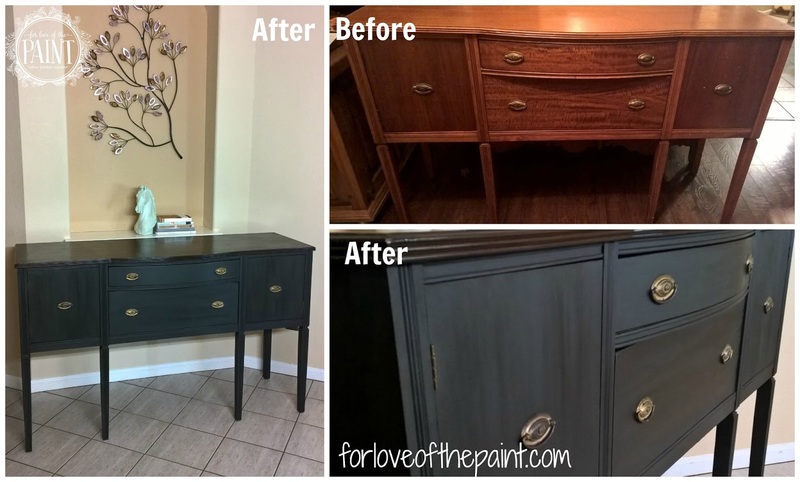 We had found this beautiful Federal Revival Style buffet / sideboard at a fantastic price, and knew that it would be a phenomenally beautiful piece once.. well.. revived a little (pun slightly intended). 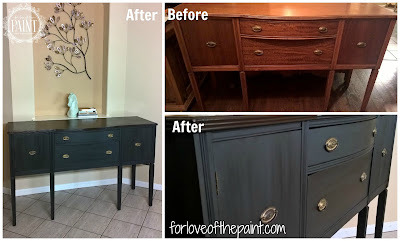 I used General Finishes Java Gel on the top and Annie Sloan Chalk Paint in Graphite on the body for a sleek, chic, beautiful look! Graphite has cool blue undertones to the charcoal gray, so I elected to use dark wax as well to add a warmth and natural variation to the piece. I put the slightest bit of sanding on to highlight the curved front and fluted leg details. And, well, I think it's GORGEOUS! 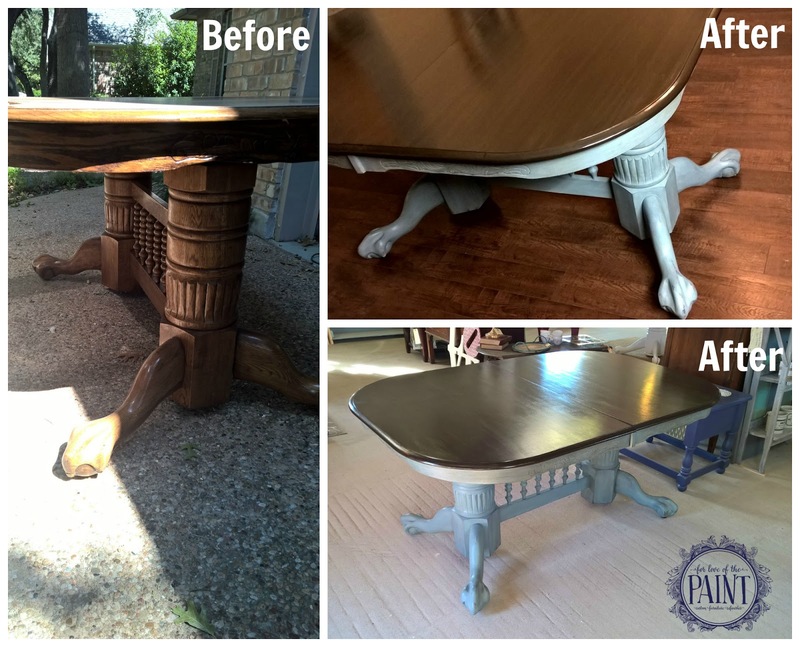 (Also, I'm thinking I might just pull down the "For Sale" sign and redesign my dining area to include it!!) What do you think?